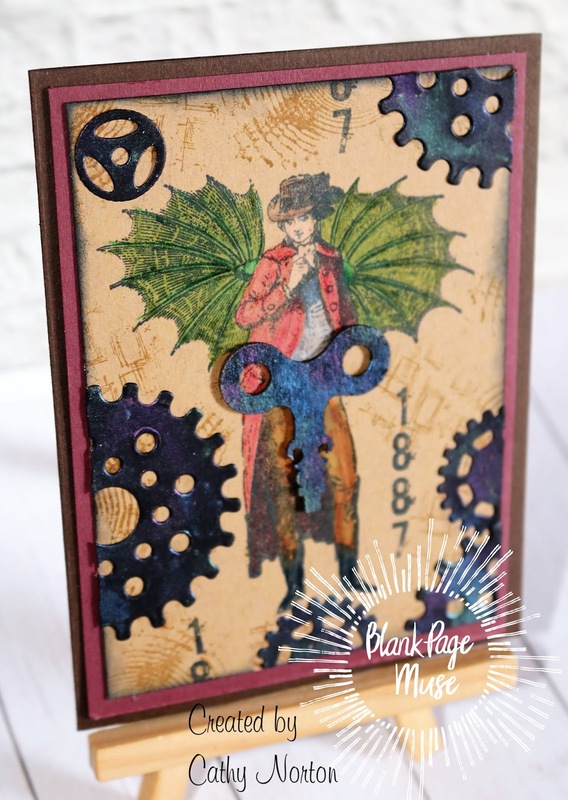 Cathy N here with a steampunk card for you. I like doing steampunk because you can add different elements together and they all work some how. 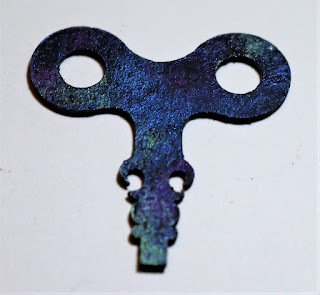 Paint the clock key black, then cover with colored waxes. 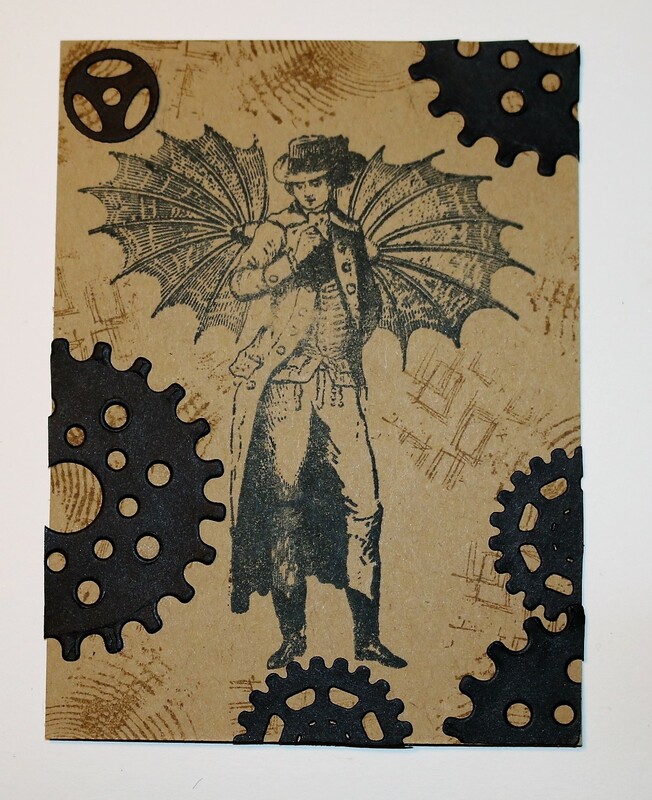 Stamp Vintage Steampunk man on Kraft cardstock with black ink. 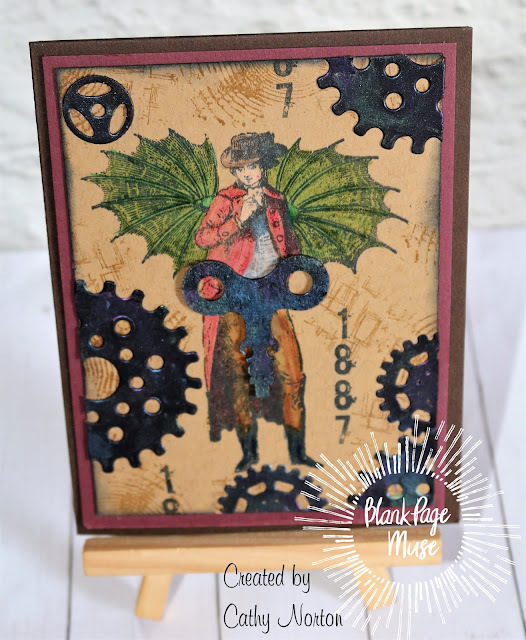 Randomly stamp Concentric Circles by Cathy Frailey with a brown ink in the background. Making sure you don't go over the Vintage Steampunk man . 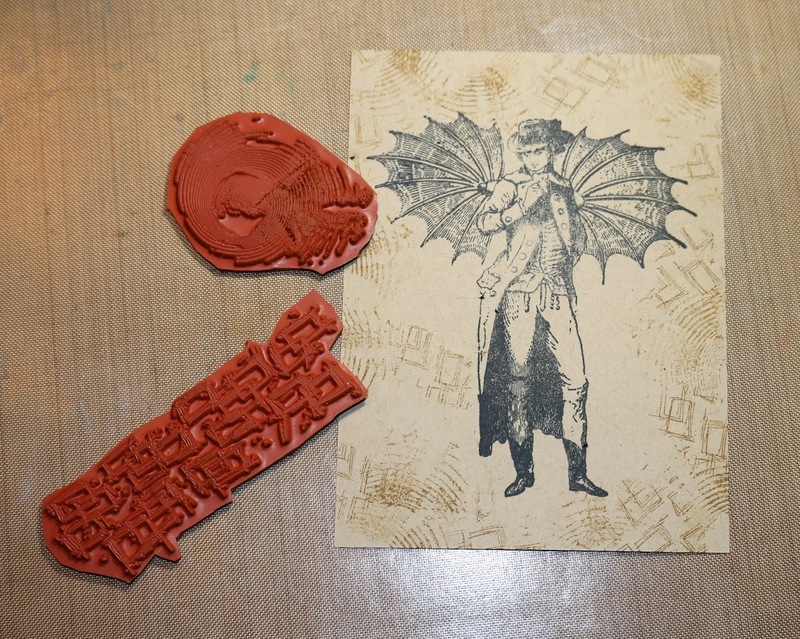 Also take Sketchy Doodle Bricks by Pam Bray and randomly stamp all over the background. 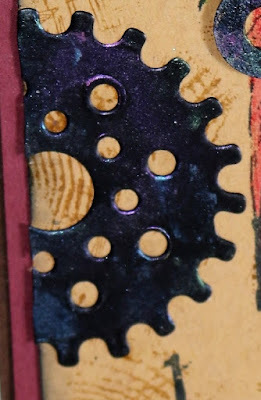 Take your steampunk gears die and some black card stock and cut some gears out of it and add it to the Kraft cardstock. Take the same colored waxes you used on the clock key and rub them over the steampunk gears. 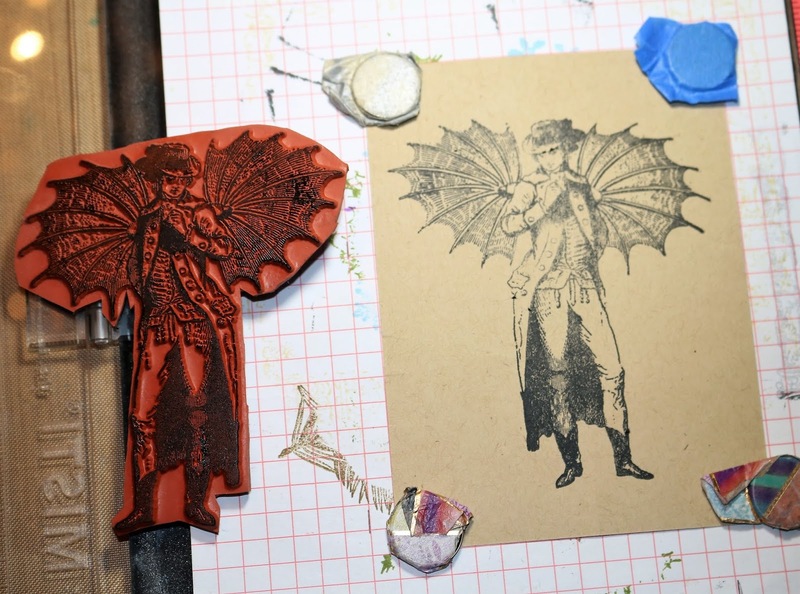 Color the Vintage Steampunk man with colored pencils. Edge the whole Kraft panel with some black ink and stamp 1887 in spots. Mount the clock key to the middle of the Vintage Steampunk man. Layer on purple cardstock then on a dark brown card base. Please come join the fun at these different spots. OOO!! This is cool Cathy! !